Old Street Roundabout is a staple to Tech City and is often referred to as Silicon roundabout, a nod to Silicon Valley in San Francisco, which also has an infamous reputation of housing an enormously high volume of digital/tech/creative companies. 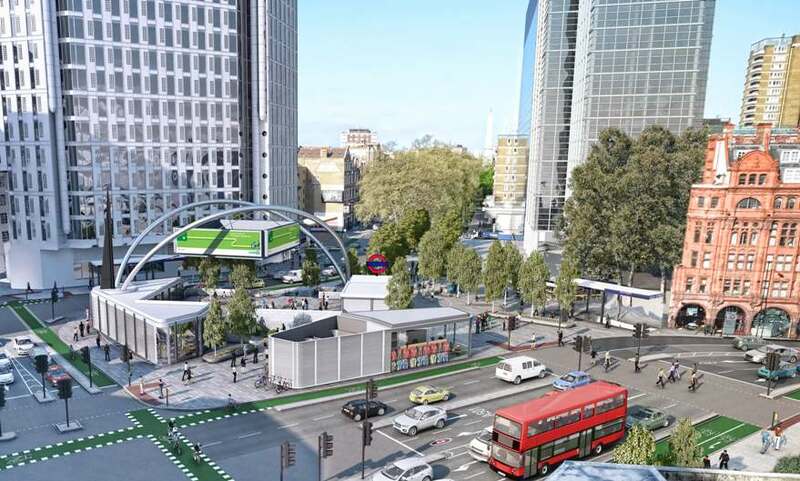 In hopes of keeping up with the regeneration of Shoreditch, plans have been approved to convert the roundabout to a pedestrian and bike-friendly zone, transforming Silicon Roundabout into somewhat of a Silicon Square. We can also expect an improved entrance to Old Street station, complete with a public area surrounded by plants and pleasant seating and more notably, brand new cycle lanes. These improvements are much to the delight of locals and those who work in the area as safety is at the forefront of all ideas. An influx of pop-up shops aimed at boosting popularity and a sense of ‘high street’ is also on the way to the roundabout. Along with this, several high profile occupiers are moving to and around the area. For example Amazon’s arrival a in the last few years brought approximately 3,000 jobs to Shoreditch and similarly, Air BnB, LK Bennett and Google Campus are long withstanding neighbours. Other glimpses of redevelopment are clear around Old Street as there have also been plans to increase internet speed to suit the demands of start-ups, and to the north and the west, both Kings Cross St Pancras and Farringdon stations are undergoing great change with the arrival of Crossrail and other new development schemes. Altogether, Old Street is set for a complete revamp at its core and with a completion date set for 2018, it couldn’t come soon enough! To view our properties in and around EC2 – click here.